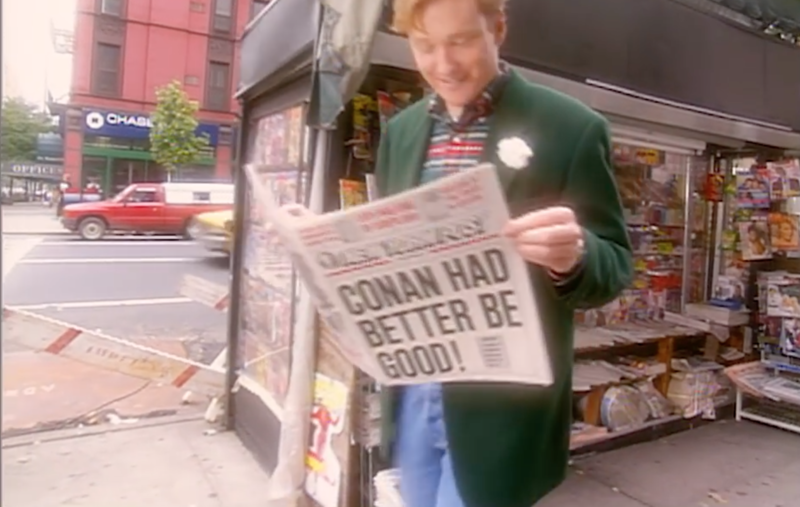 On this day in 1993, Late Night with Conan O'Brien first aired on NBC. Twenty-five years later, the first episode has been released online in its entirety. It's quite a time capsule. His first guests were John Goodman, Drew Barrymore, and Tony Randall (with Goodman being the first-first guest -- see photo below). Something to look forward to: In January 2019, the complete online archive of the show will be made available. In the meantime, take a look at the audition that landed Conan the Late Night spot.